On April 23-25, 2013 FRUCT Oy, Petrozavodsk State University, Center for Internet Excellence (University of Oulu), Saint-Petersburg Institute for Informatics and Automation of Russian Academy of Sciences and Tourist Information Centre of the Republic of Karelia organize the 2nd seminar on e-Tourism in Karelia and Oulu Region. This seminar is a part of implementation of Karelia ENPI CBC KA322 project on Development of cross-border e-tourism framework for the programme region (Smart e-Tourism). The second seminar “e-Tourism in Karelia and Oulu Region” provides great opportunity to foster dialogue and mutual knowledge between academic researchers and tourism business representatives from Russia and Finland. The seminar is aimed at creating a platform for exchanging experiences and best practices of using perspective approaches and latest information technologies for the development of e-tourism services and infrastructures in Karelia and Oulu regions. The seminar will consist of presentations given by invited academic and industrial experts, round table discussion and trainings on Geo2Tag open source platform and 3D Internet. We warmly welcome industry and academic experts to contribute to the seminar by participation in interactive discussions and experience sharing. The seminar is free of charge and open for participation. The seminar will be held in co-location with the 13th FRUCT conference, so the seminar participants are welcome to take part in all events of the 13th FRUCT conference. 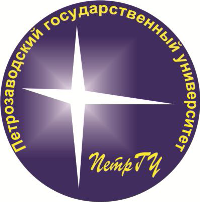 Collaboration between Petrozavodsk State University and partners: FRUCT Oy, Center for Internet Excellence (University of Oulu), St. Petersburg Institute for Informatics and Automation of Russian Academy of Sciences, and Tourist Information Centre of the Republic of Karelia has been enhanced by Karelia ENPI CBC Programme. The seminar is a part of implementation of cross-border cooperation project co-funded by the European Union, the Russian Federation and the Republic of Finland; project KA322 Development of cross-border e-tourism framework for the programme region (Smart e-Tourism). Looking forward to see you at seminar on e-Tourism in Karelia and Oulu Region! Geo2tag is an open source platform that facilitates development of Location based services. It provides comprehensive set of programming interfaces and system services like high performance database for geotags, spatial and content filter engine, tag aggregation and other. Unlike traditional analogs of LBS services (like wikimapia, yandex/google maps) that can be used for building mobile applications, the users can install their own instance of Geo2tag platform and so gain total control on resources, security, performance and high availability. At the moment platform has RESTful API consists of more than 20 functions, which is built on HTTP/JSON technologies. The main features are: tag management, time and area filters, spatial filters for indoor services, client libraries for Java and C++. In addition several mobile clients for Android and Qt platforms are available. Geo2tag is still under development and a set of new features, e.g., user management, multi database support, channel/tag aggregation, map widget, will be released during 2013. The main goal of this training is introduction into Geo2tag architecture, technologies and use-cases. Participants will get practical experience in installation platform and development of small mobile application. Entrance: participation in the seminar is free of charge, but you must be registered (the registration form is available on the bottom of this page). You should have basic experience of programming on Java and Qt plus elementary knowledge of Linux. We recommend having your own laptop for exercises. "What is 3D Internet?" Gaming industry leading the way, 3D graphics are becoming to be a mainstream way of producing visual content. Even smartphones today have capable enough hardware to support 3D graphics. Combining this into Internet phenomena it opens a new business opportunity - 3D Internet. The applications in this field have wide variance and are certainly not limited to gaming. In this training session, a view on emerging business opportunities are given with examples; what kind of possibilities are there. Then a closer look is taken into 3D Internet research and its applications with examples, videos and hands on demonstrations. After the training session you will have a view on "What is 3D Internet", "Is there business behind" and "What are the main 3D Internet applications". We recommend you to have your own laptop for exercises.